Shining Smile is back with another photo book project to support Tiffany! -Gifts: Fancam CD, mouse pad, pencil, photo cards, poster (size: A2), mini notebook. Gifts subject to changes. -If you wish to order more than 12 books, send an email to ‘tiff801@hanmail.net’, and include in your email your address and how many books you would like to order. Hello. We’re shining smile. shipping of 2nd photobook is the third in july. thank you for your understanding. 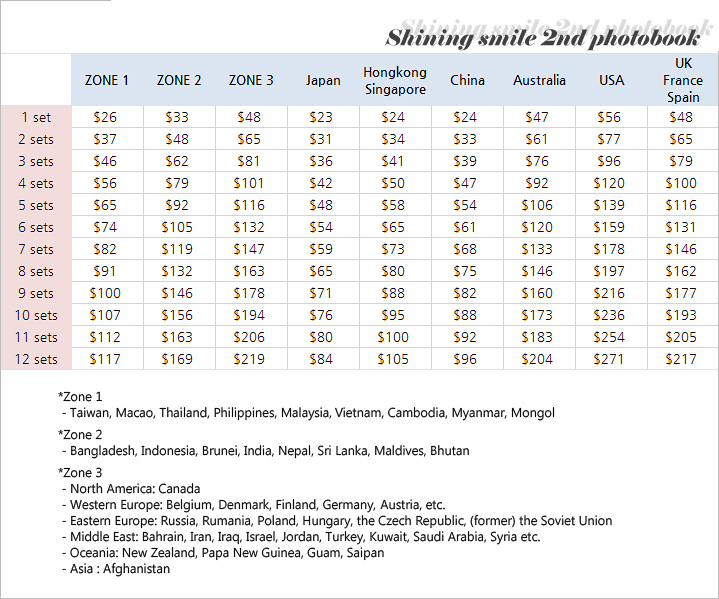 Our Shining Smile 2nd Photobooks arrived today! I still havn’t got mine. Anyone is the same?